Beauty Explored: Will Biotin Really Help Eyelashes Grow? >> Does Biotin Make Your Eyelashes Grow? Let’s Find Out.. Does Biotin Make Your Eyelashes Grow? Let’s Find Out..
No one wants to walk around with subpar eyelashes. You don't want to flash your eyes with reservations. 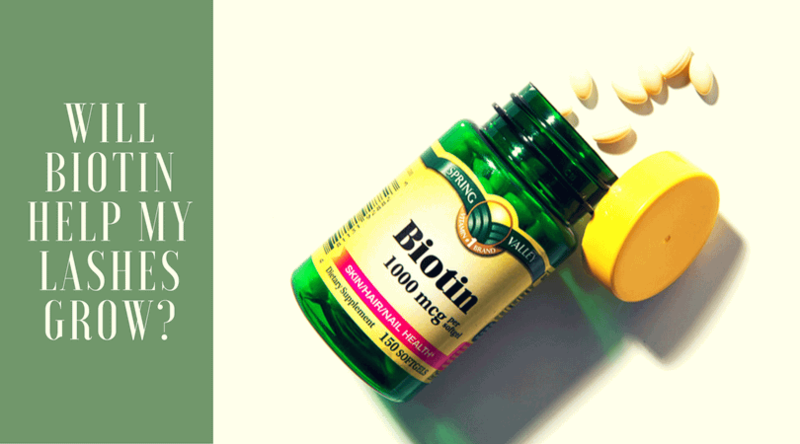 Many are turning to biotin for help, but perhaps you want to know if it will really help. The following will shed light on this. Why are People Turning to Biotin? PRNewsWire reports that three out of four women think their eyelashes are not good enough. Many people want to do something about this issue because they are not completely happy with their overall look. I can relate to this. We all want to feel good about ourselves. I think the reason most people turn to biotin is simply because, as Nutraceuticals World reports, it is historically one of the most popular supplements, so it makes sense that it is the one people hear about the most. The truth is that most people think biotin will help because experts tell them it works. A study published by NCBI shows that biotin may be helpful for women suffering from temporary hair loss. That is all that this study provides, meaning additional benefits are still up in the air. Does Anyone Doubt Biotin's Effectiveness? Huffington Post reports that biotin intake should be something to be cautious of. This does not mean biotin is bad for you, but experts believe that biotin deficiency is rare, which should cause some concern. The desire to grow your eyelashes might lead you consume too much the biotin, especially because it is easy to get. This could lead to many issues that no one wants to deal with. For example, it can lead to skin rashes, and it would be a bummer to fix one issue just to have another one spring up. It does not stop there though; it seems that the overconsumption of biotin can also make it harder for your body to release insulin. This could have detrimental effects, like it might make it hard for your body to absorb sugar. This can reduce your energy, but it can also increase blood sugar. I do not know about you, but I do not want to experience any of these negative effects for the sake of better eyelashes. The expert interviewed on the Huffington Post story continued to say that too much biotin can cut vitamin C and B6 levels, too. Those who have been taking biotin and are worried they have taken too much should talk to their health care provider. You want to make sure you do this, especially if you have noticed some of the symptoms mentioned earlier. Do not fret about this; the issue can be taken care of by your doctor. 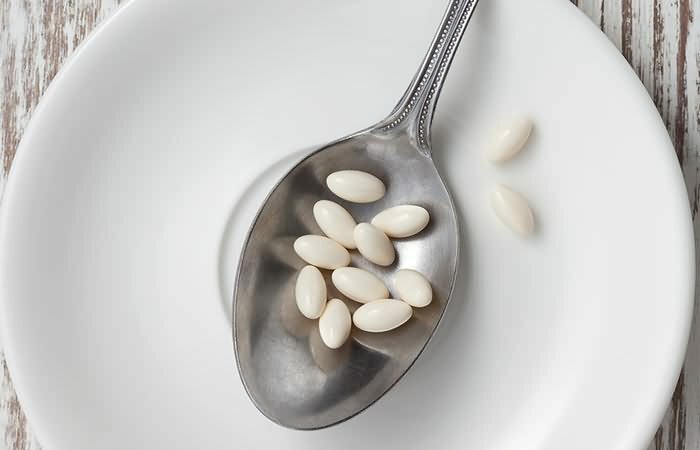 Should Biotin be Eliminated From a Diet? As mentioned before, no one is saying that biotin is a bad supplement, but like everything else, moderation is important. 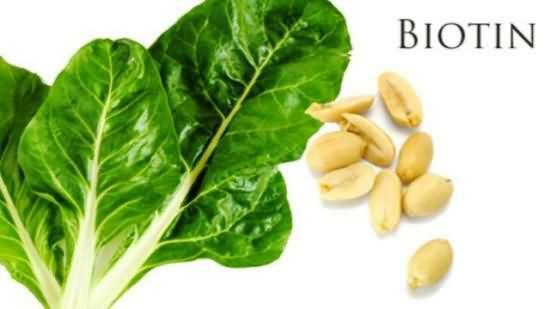 Biotin helps the body convert some of the foods eaten like carbohydrates into glucose that is used to produce energy and keep you going throughout the day. It also helps the body use fatty acids and amino acids to ensure that protein is produced properly. Now, this is why people imagine that biotin is important for hair roots among other things. One reason why hair grows well is because of good protein production. Keep in mind that most biotin can be found naturally as long as you know what to eat. For example, I know that eggs have a lot of biotin and so does fish, not to mention sprouted whole grains. You might also want to start eating more legumes, almonds, and other nuts. Yes, there are a number of alternatives, some work while others may not. One of the simplest alternatives to biotin is to simply use eyelash extensions that, if applied correctly, could look wonderful. In fact, Ann Marie Walts reports that the use of eyelash extensions are on the rise. This is probably happening because women are desperate for a solution and have not found an effective one. The problem with turning to eyelash extensions is that, as Consumer Reports states, there is a health risk associated with them that you need to be aware of. Beauty does matter, but you should never put yourself in danger for it. 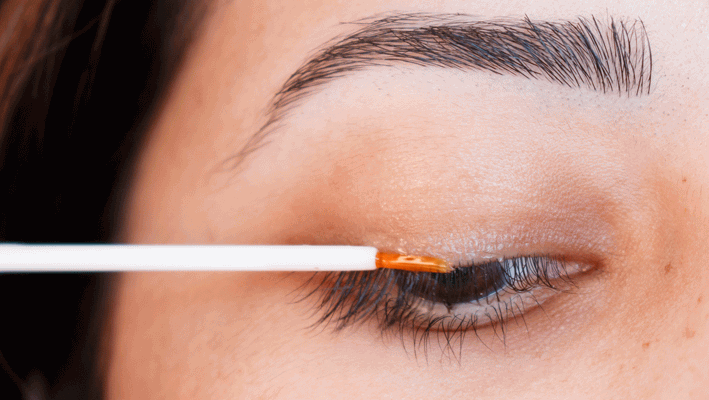 There are many issues connected to eyelash extensions; for one, they use formaldehyde to bind the eyelashes, and this ingredient can lead to allergic reactions. Cosmetic eyelashes trap bacteria and dirt a lot easier than natural eyelashes, making it pretty easy to create infections in or near the eye. Some people have dealt with irritation to the cornea because the cornea had direct contact with the lashes. Removing these extensions has also made some people lose their natural lashes from time to time. In short, you need to turn away from this particular alternative. I know I painted a pretty grim picture regarding biotin and your eyelashes. Don't worry though. I know that it sounds like I removed one option from your plate, but I would not do that without giving you another option. Eyelash serums are becoming more and more popular amongst people who want better eyelashes. Does vaseline help eyelashes grow?